Do you often wonder the difference between the doers vs. the dreamers, the go getters vs. the I wish I had’s? I believe one of the biggest thing that sets these groups apart is their ability to get outside of their comfort zones to achieve what many feel is the unreachable. 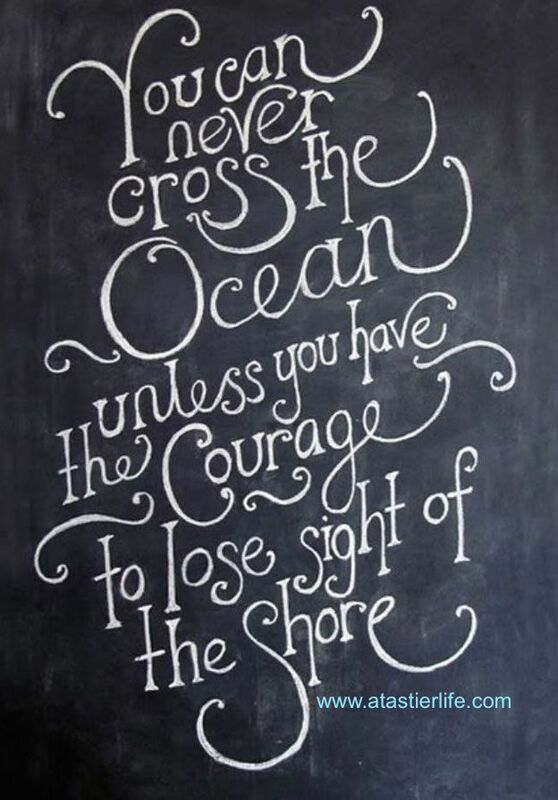 What a powerful saying ‘You never can never cross the ocean unless you have the courage to lose sight of the shore’. The Ocean can be a scary, lonely, massive; just like our hopes and dreams or the road we need to get moving on to achieve ‘our unreachable’. So how can we start learning to step outside that comfort zone? For some this comes as second nature. For others it requires some work. For many it really can be the scariest thing they have ever tried to do. The point here is it is not impossible and anyone can do it if you step outside what is comfortable and safe. For the second nature group – These guys really don’t need much in the way of advice. They have a vision and they do whatever it takes to get it done, with little to no fear. They don’t let rejection get them down but rather let rejection fuel their hunger. These guys have vision, they are organized, and they know how to stay focused keeping the ‘noise’ out of their head. For those who have to work at it a bit – This is where the majority of people fall. They have the passion and desire, but often times, fear gets in the way. The good news for this group is that once they take that initial step outside their comfort zone, it becomes easier and easier. Many people in this category learn to overcome fear and rejection and end up moving up a tier into the ‘second nature’ group. Focus comes with some work. They know how to organize their tasks and re-prioritize when they lose focus. The ‘I’m scared sh*tless to step outside what is safe’ group – If this is you don’t feel there is no hope for you. You just have to work a bit harder, focus, make a plan, have a vision and really stay organize to stay on track with your successes. You will step outside your comfort zone and quickly jump back to your safety net, however, your confidence will build over time and you will also learn to jump into that fear zone and stay there until it becomes a little less terrifying. The best advice I can give this group is to find a successful mentor and surround yourself with like-minded people. The take away is that ANYONE has the ability to succeed and stepping out of your comfort zone is possible. For some easier for some harder, but success will come to those who commit to their vision no matter how scary it may be. Next Post When you find your passion; share it! Thank you for posting this. Perhaps you might like to read, my perspective on fear. Thank you! I will definitely check it out!